Response: Our results suggest that encouraging patients to exercise, undergo a vision assessment, and, for those at risk, to consider osteoporosis therapy, given the potential impact of these interventions in preventing injurious falls. Response: Establishing the cost-effectiveness of falls prevention interventions found to be effective, determining which specific exercise components are most beneficial, as well as which quality improvement strategies have the greatest effect are all areas of future research that some of the authors are currently working on. Response: The choice of falls prevention interventions may depend on the values and preferences of patients and caregivers. For some patients, exercise may actually increase the risk of falls because they become more mobile as their strength increases, but the risks of immobility are far greater to older adults. This research was funded by a Canadian Institutes of Health Research (CIHR) Knowledge Synthesis Grant (KRS 289648). Dr Tricco reports receit of a Tier 2 Canada Research Chair in Knowledge Synthesis grant. Dr Veroniki reports receipt of a Canadian Institutes of Health Research (CIHR) Banting Postdoctoral Fellowship Program grant. Dr Sibley reports receipt of a Tier 2 Canada Research Chair in Integrated Knowledge Translation in Rehabilitation Sciences grant. Dr Riva reports board membership with the Ontario Chiropractic Association. 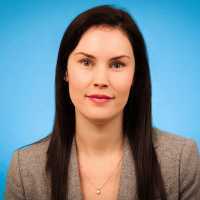 Dr Holyroyd-Leduc reports working as an associate editor for the Canadian Medical Association Journal. Dr Majumdar reports support from the Faculty of Medicine and Dentistry and the Faculty of Pharmacy and Pharmaceutical Sciences, University of Alberta (holds the Endowed Chair in Patient Health Management). Dr Straus reports receipt of a Tier 1 Canada Research Chair in Knowledge Translation grant. No other disclosures were reported. This entry was posted in Accidents & Violence, Author Interviews, Exercise - Fitness, Frailty, Geriatrics, JAMA, Osteoporosis and tagged falls, geriatrics, Osteoporosis by Marie Benz MD FAAD. Bookmark the permalink.